Registration is closed for the Law Day Student Civics Conference. Please contact Jessica Gallagher at jgallagher@classroomlaw.org with any questions. 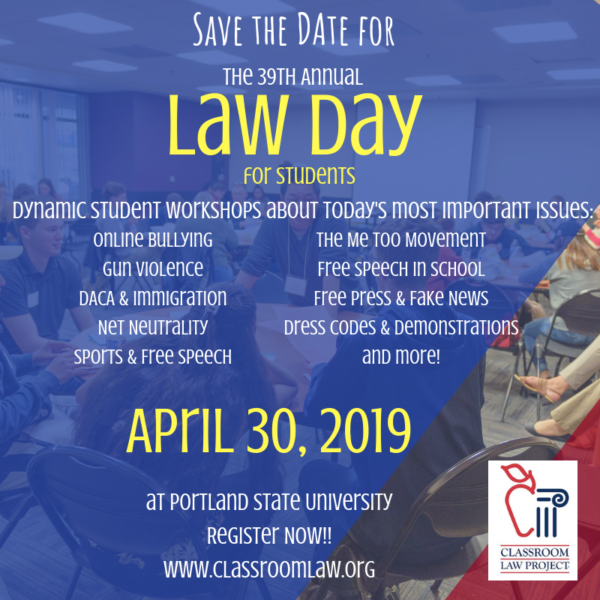 Every year, Classroom Law Project has hosted the largest student Civics Conference in the state. Thousands of high school students from Oregon and SW Washington have participated over the last 20 years to learn from scholars, lawmakers, and activists. Known as “Law Day,” based on the American Bar Association’s designation for a day to learn about the law, the Conference always provides students with a fun-filled day of learning from experts, interacting with students from other schools, and discussing the most relevant political and cultural topics in American civic society. 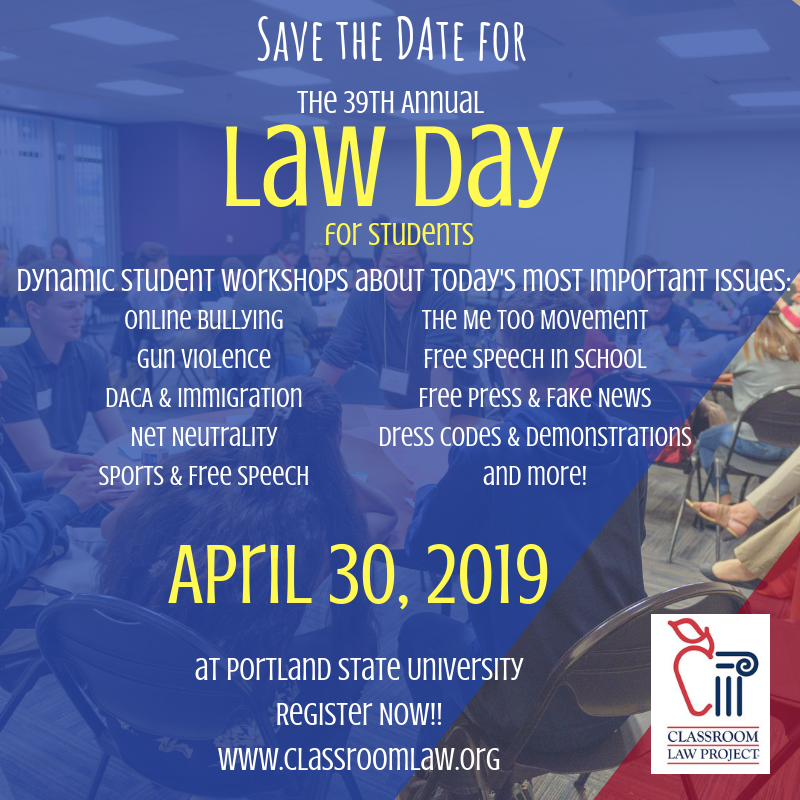 ***We are introducing a new fee structure for this year’s Law Day: a flat rate of $60 per class. CLP will not provide lunch, but a break will be included in the schedule for students to eat in the ballroom. ***Workshop schedule and sign-up form will follow as we move closer to the event.